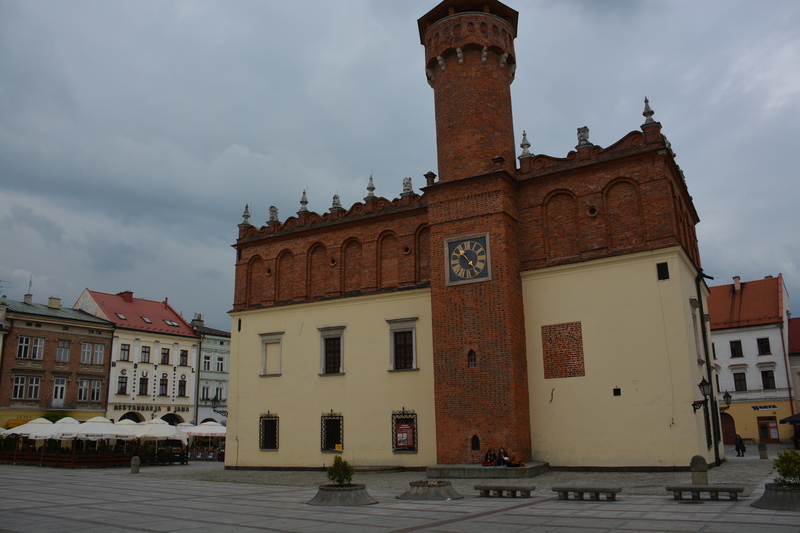 Tarnów is an interesting city. 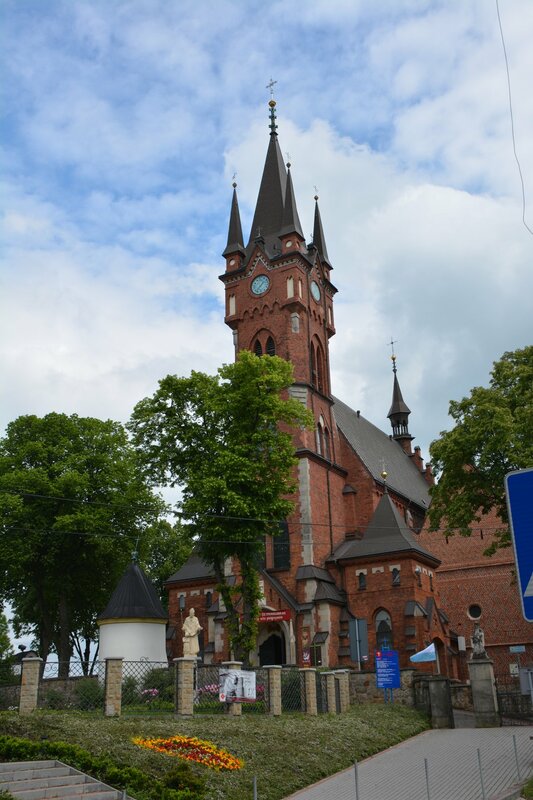 Pretty large (over 100,000 population) and located at the intersection of major rail and highway routes, it still features a cute town center and old town. 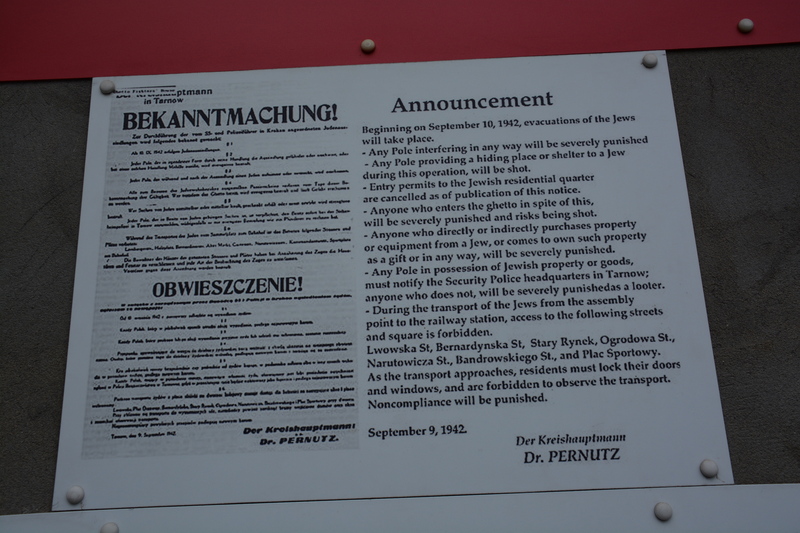 They do an excellent job informing tourists and highlighting their Jewish heritage. 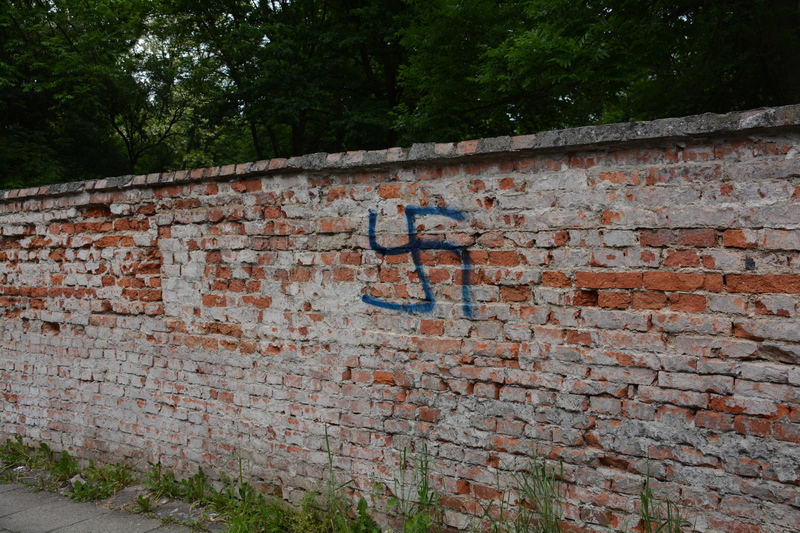 Before WWII, nearly 25,000 Jews living in Tarnów. 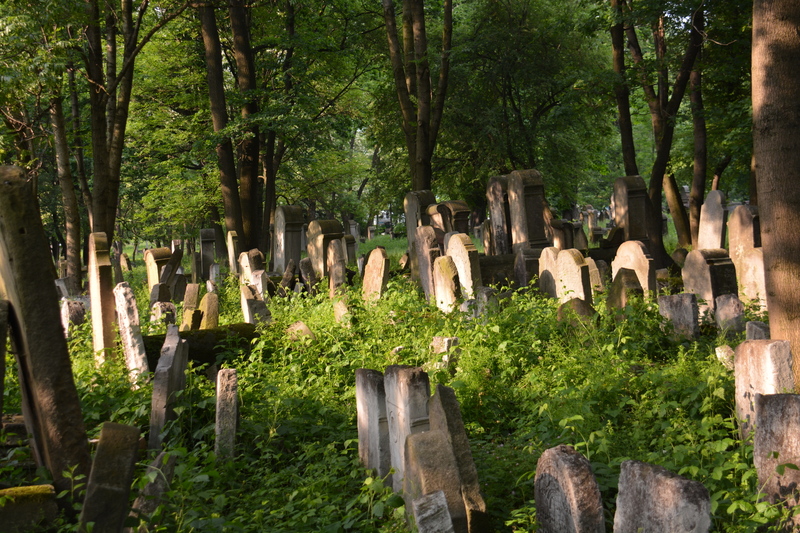 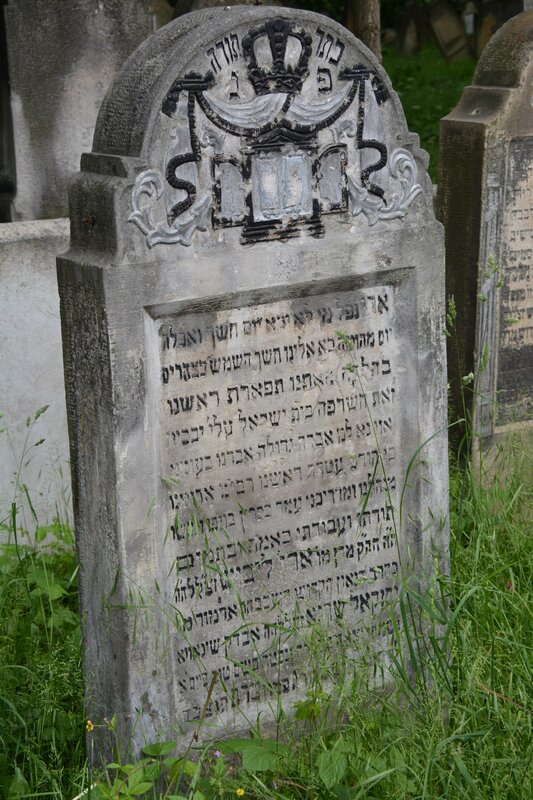 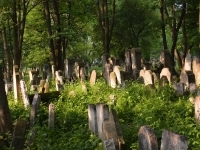 During the German occupation, nearly all the Jewish building were burned and the ancient cemetery desecrated (in addition to serving as the location of a mass grave for 3,000 Jews massacred in the cemetery). 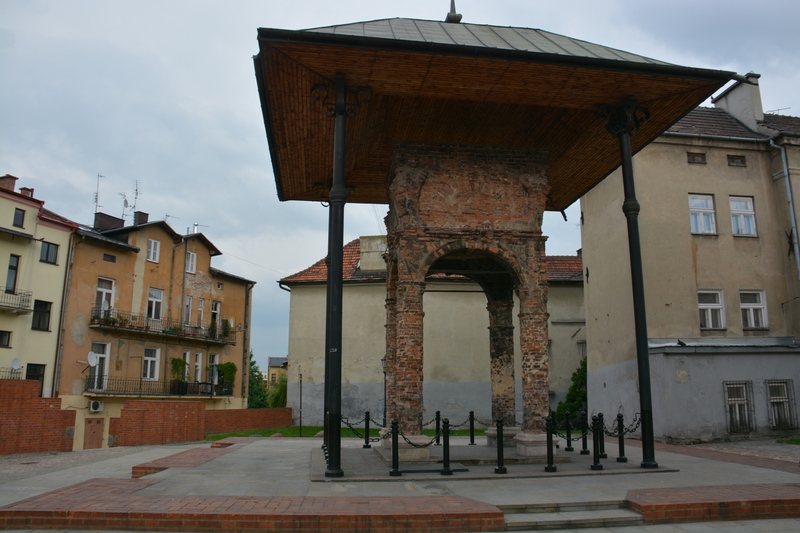 All that remains from the original synagogue is the brick Bima which has been preserved and highlighted in a nice courtyard. 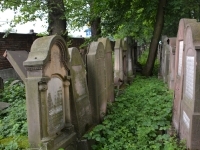 The cemetery is about 2km outside the city center and when I arrived I found the front gate locked with a sign that the key is always available…but back in the city. 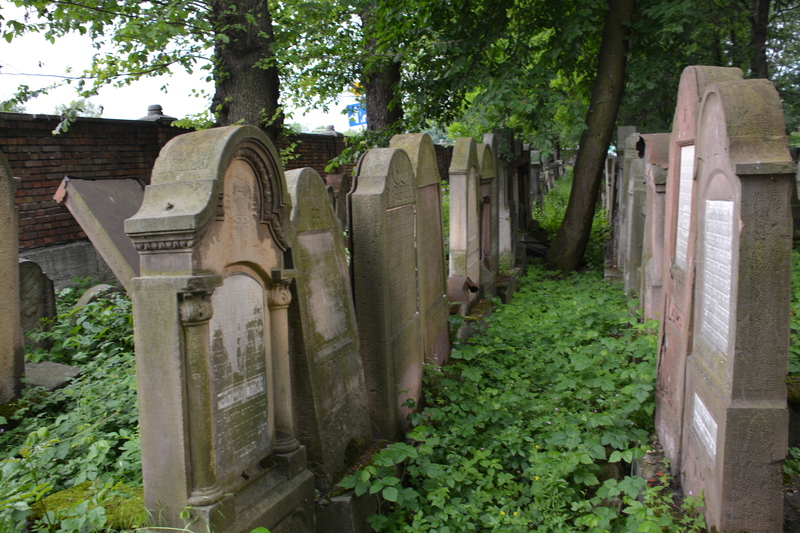 Instead of walking an additional 4km, I scaled the wall figuring I would be forgiven since technically the cemetery was always open. 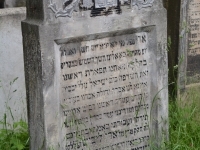 Found many old graves and a memorial column from the rubble of the old synagogue. 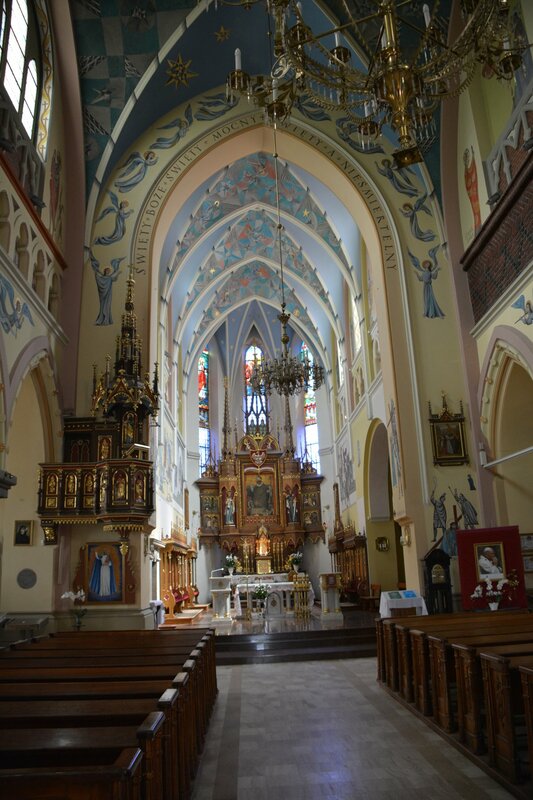 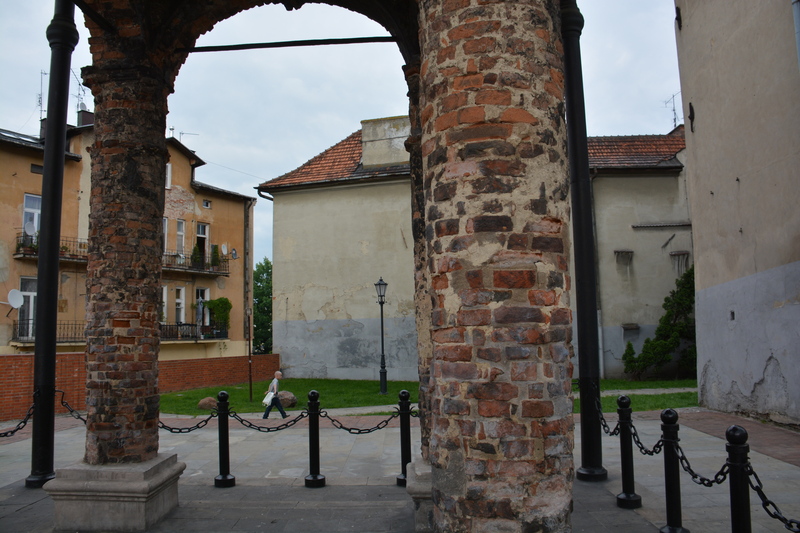 Very impressed with Tarnów’s history and friendliness (and hopefully lenience) to visitors. 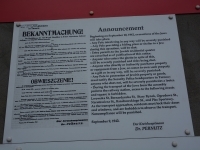 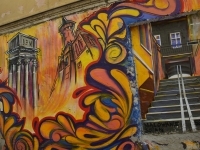 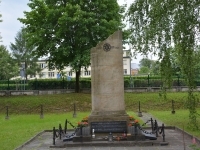 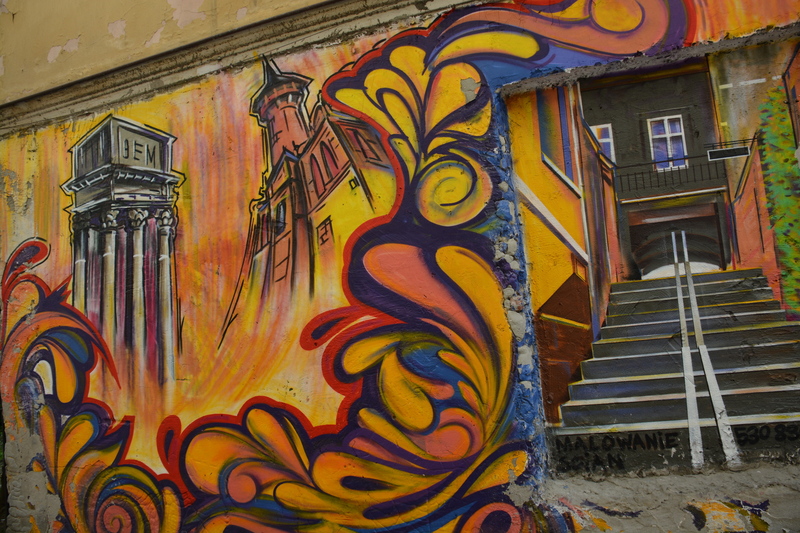 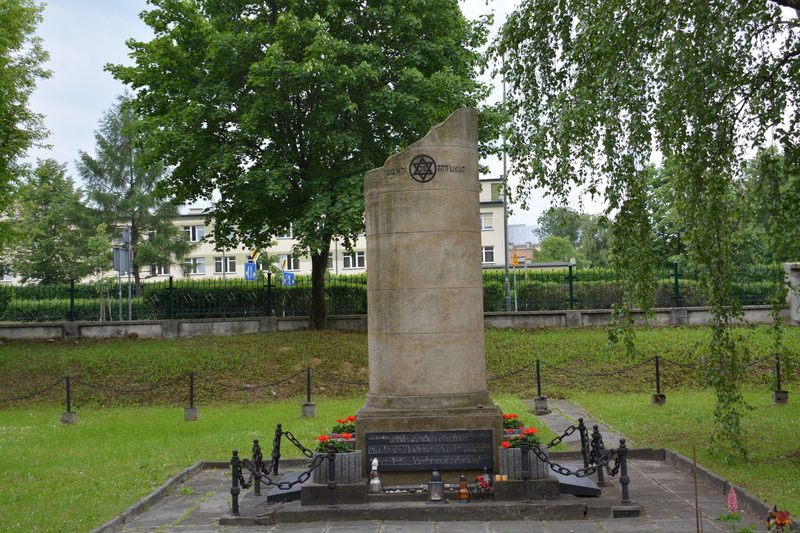 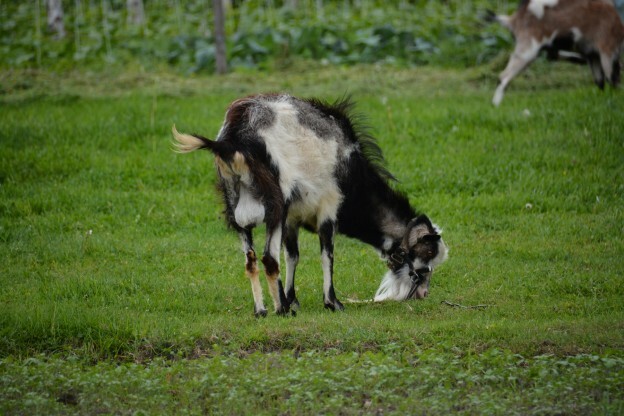 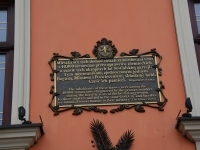 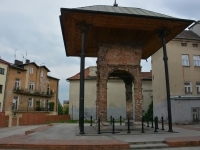 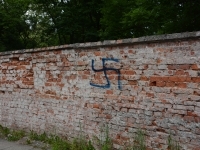 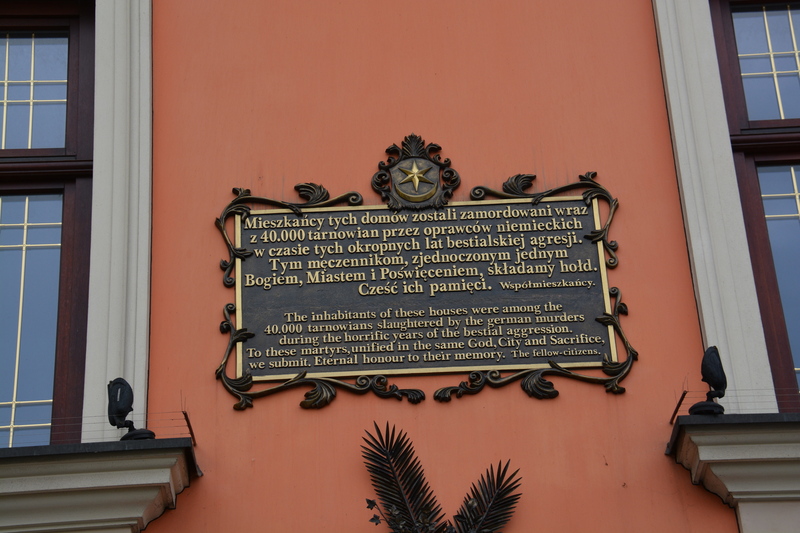 This entry was posted in Cities and tagged Jews, photo, Tarnow, town square, WWII on May 25, 2013 by papish.